Bajrangi Bhaijaan‬ is one of those, which makes you realize the power of cinema in bringing along a massive change. Less Salman, more content.. Cinema wins here. Mixed reviews are coming about Bajrangi Bhaijaan. Few cried in the cinema hall, and few are telling nonsense. A highly emotive script. Kudos for the story to Rajmouli's dad Vijayendra Prasad. Salman has gone out of his classic way of action movies to Emotional movie. The theme is very nicely picked up on Hindu-Muslim & India-Pakistan. The little cute kid 'Munni' has so far done a very good job. The first half is okay, but 2nd half would be needed to give complete & overall word on the movie. One good part about this is the movie released on EID, Directors, actors & producers are Muslims & the theme is Hindu. Beautifully balanced. Nawazuddin Siddiqui yet again outscores Salman Khan in the laughs and applause department in his entry scene. Here are 3 reasons to watch Bajrangi Bhaijaan. 1. 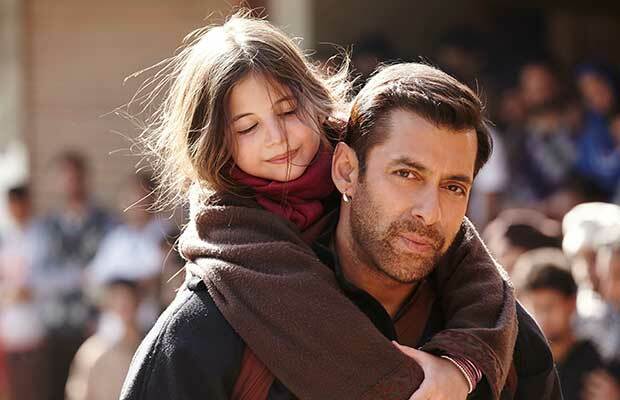 Harshaali Malhotra (Munni) brilliant performance. She just speaks one word in Film, but her emotions can bring tears to your eyes. 2. Nawazuddin Siddiqui (Pakistani Reporter) - Another awesome role of Nawazuddin. He plays a piller role of the film. 3. Salman Khan - Maybe you don't like much Salman but this time he has done a remarkable job. He has injected the role of Bajrangi Bhaiyya in himself with speaking emotions.